Diminishes embarrassments at critical end stages. These tasks add time to the overall project; the manager must plan for this expenditure of time and energy. 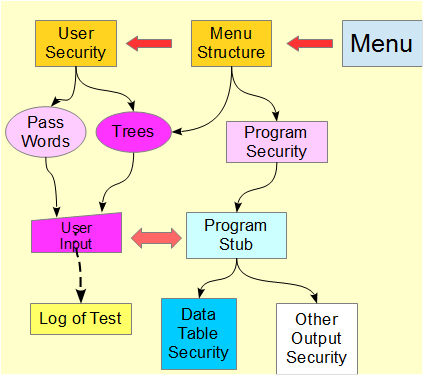 Menu: where did all the tasks come from ? The program stub raises the topic of installation. The stub is an early version of the program, and so involves another task. Each of the boxes contains a noun and the manager must choose the verb for the entry in the List of Tasks.